Okay I'm not a fan of the Patriots at all, but even I have a little compassion. 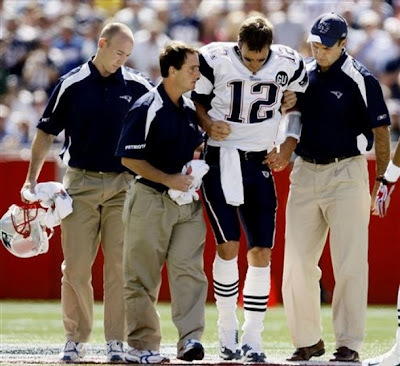 Tom Brady is out for the remainder of the season after suffering a knee injury in yesterday's regular season opener against the Kansas City Chiefs. That's a bad look for NFL fans and anybody who plays fantasy football.